Did Sheep Dung Lead to the Invention of Golf? "Golf may have first been played by shepherds somewhere in the Highlands of Scotland. While walking their flocks through the Highlands, the shepherds carried with them herding staffs called shillelaghs. These shillelaghs were fashioned from tree limbs and typically had a large knob on the top end. Used also as walking aids, these sticks helped the shepherds traverse the rocky, rain-soaked and often muddy hillsides. They also used them to move their flocks from pasture to meadow, and as weapons when protecting their herd from common predators such as wolves. "There were certain mountain pathways in the Highlands that were more important than others. These were the paths that would lead to water, be it either a simple running stream or a deep well somewhere in the wilderness. These common pathways would often become littered with intermittent droppings of sheep excrement. To clear the way, the young herders would casually flick the chunks of dung out of their way using the knob-end of their shillelaghs. When they came upon older, dried out chunks of manure, they would take more forceful swings with their shillelaghs, and then marvel at the dung as it flew high and far, down into the valleys. They called their new diversion 'shootin’ the shite.' Ultimately, 'shootin’ the shite' evolved into the game we today call golf." That excerp is from a Philadelphia newspaper in an article about Merion, site of the 2013 U.S. Open. That newspaper apparently didn't realize that it was publishing an expletive by printing the word "shite." This origin story for golf is not true; that should be clear to anyone with any sense of the game's history. It's one of those silly stories that someone invents later as a joke and then, over time, is transformed into a legend. That a newspaper printed the story credulously is a sad commentary on the modern state of journalism. But had you ever heard that story before? I hadn't. Which surprised me. I thought I was familiar with all the legends about golf's origins, and with most of the "urban legends" about other golf origins (where the word mulligan comes from, why golf courses are 18 holes, etc.). But I'd never heard the one about the sheep crap. Roger Maltbie was a player on the PGA Tour from 1975 through 1996. Hale Irwin's career overlapped with Maltbie's for much of that time. The two of them engaged in a playoff for the title at the very first Memorial Tournament in 1976, which Maltbie won on the fourth hole. So we both birdied 15 and we both parred 16, so now, playing the third hole, we're in sudden death. It's set up to finish on 17. We both drove into the fairway. I was away and the hole was cut on the left side of the green, and I pulled the ball left. It hit in the gallery, and all of a sudden it bounced out on the green. My first reaction was, "I've hit somebody's head! Something awful's happened!" And the ball is on the green, maybe 25 feet from the hole. I look up, and Hale is absolutely glowering at me. He is not happy, and it's very apparent. So with that he hits it stiff, maybe 15 feet behind the hole. When we get up to the green I find out that the ball had struck the gallery-rope stake. I miss my putt, and I take my glove off, hand it to Jeff and I go, "Hey, we tried." He said, "It isn't over." I said, "This guy ain't Hale Irwin because he misses these to win." Figured it was case closed. Well, he missed. Then at the last hole Hale drove it up against a tree in the rough and had to hack it a couple of times. I make the birdie putt and win. This clip is from 1930. Trick shots haven't changed much. Most golfers tend to have their equipment, bag, shoes and clothing generally figured out. So buying a gift for a regular golfer can be a bit of a challenge. However, he or she can’t play golf all the time, so a great gift is a book about golf. That said, manuals on how to play golf can be a bit dry to read. So instead, appeal to your golfer’s zest for the game with the following 5 books for the golf lover in your life. If your golfer ever wanted to know how the Scottish game of golf migrated to the U.S. and became established here, this is the book to find out. Starting at the end of the 19th century, Wind discusses the history of golf to the mid-1970s. Wind himself is a well-known name in golf literature, so The Story of American Golf won’t disappoint. A reader comes away with both facts and insights on how the sport was shaped over the centuries to the game it is today. Harvey Penick was a well-known golfing coach who had a habit of writing down all his tips and insights in a little red book he carried with him while teaching and golfing. As a result, this collection of all those notes, ideas, insights, advice, and lessons is a must-read for anyone looking for coaching through literature. If your golfer is a traveler, you may want to entice him with this list of top golf courses. Chris Santella’s book provides pictures and comments on some of the best courses worldwide. Granted, most people won’t be able to get to all of them, but it’s quite possible to get to one here and there over time, especially with awareness of where these courses are located and what they offer. Another book by a well-known golf coach, Joe Parent puts his teaching insights on paper, sharing the same tips he provided some of the best professionals. Most of his principles are based on Buddhism, helping the golfer clear distractions from his or her mind to focus on the task at hand. The book is a must-read for folks who need to learn better ways to focus when playing golf. Written from the perspective of a caddy who worked with some of the best, John Feinstein tells the story of Bruce Edwards. The book develops high drama as the relationship and friendship of Edwards and Tom Watson is tested when Edwards develops a terminal illness. The book provides not only insight into the two men, but also the thinking and mindset of professional golf, including revealing details not seen when the cameras turn off. Golf is both a physical and mental game, so books on the sport can be extremely helpful. The above five books for the golf lover in your life are just a small selection of the reading available. About the author: Jeffrey Wright is VP Web Services of EZLinks.com in Chicago, IL. Offering discount tee times, EZLinks operates the world's largest network for golf reservations, as well as the highest volume tee time call center in the industry. You weren't expecting him to look like a troglodyte, were you? The photo was posted on Twitter by Claude Harmon III, Butch's kid and Adam's friend (even though Scott no longer works with Butch as an instructor). Ambition? "To be the best professional golfer in the world." Favorite expression? "If all else fails, birdie the last." Final comment? 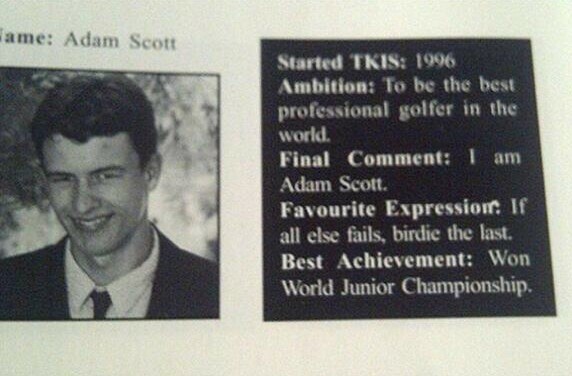 "I am Adam Scott." Yes he is. Yes he is. Have You Seen the New York Post Headline on Tiger's Improper Drop? Talking about the Tiger Woods ruling at The Masters, of course: 2-stroke penalty, but no DQ. I like that ruling, I think it's fair and in keeping with the spirit of the new decision regarding DQ'ing players at-a-later-date for wrong scorecards. Remember, almost every time in the past when a golfer has been DQ'd next-day or later-on over an incorrect scorecard, most of the golf world has gotten up in arms about the unfairness of it. So the governing bodies added a decision giving discretion to committees to waive such a DQ. Tiger is one of the first test cases, he had his possible DQ waived under the new rule ... and now lots of folks are up in arms about that! Just goes to show: When it comes to a high-profile penalty or DQ in golf, there is never going to be consensus. @tigerwoods @the_masters took his penalty and should play! He's my pick to win. Based on all of the information we have NOW, I totally agree with the decision re. Tiger. Follows the rules to the letter. This is a TV ratings decision in my humblest opinion. Not commenting on the incident. The Game we play is played with #Honor #Respect #Dignity #Honesty & a Rule Book. The Rules are the Rules. Just catching up on the tiger ruling. Its interesting! My gut tells me if it were me that did what he did and video supported it Id be gone. I hope @tigerwoods wins this thing. That would be interesting. Usually masters drama starts back 9 Sunday, little early this year I guess, fair ruling but feel for guys pre new rule. C'mon Aussies!! If you think tiger should be dq'd your not wrong, if you think 2 shot penalty is enough your not wrong. Not sure the right answer. I think he should WD. He took a drop to gain an advantage. We all want tiger to compete and win on Sunday but I don't know about this decision!!!! 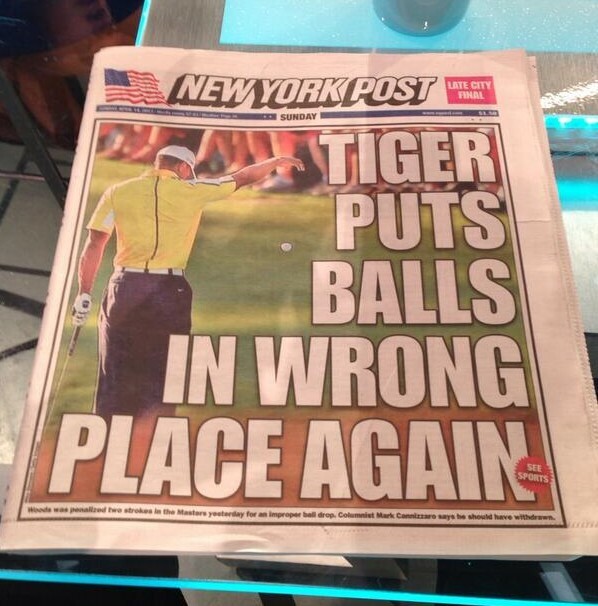 Take the fact that it was Tiger out of the equation and it is a fair ruling. Since it is him the debate begins about TV ratings etc etc. You've seen the way Michelle Way is putting these days, right? Bent over 90-degrees at the hips, back parallel to the ground, hunched down over the ball. What an awful way to putt. 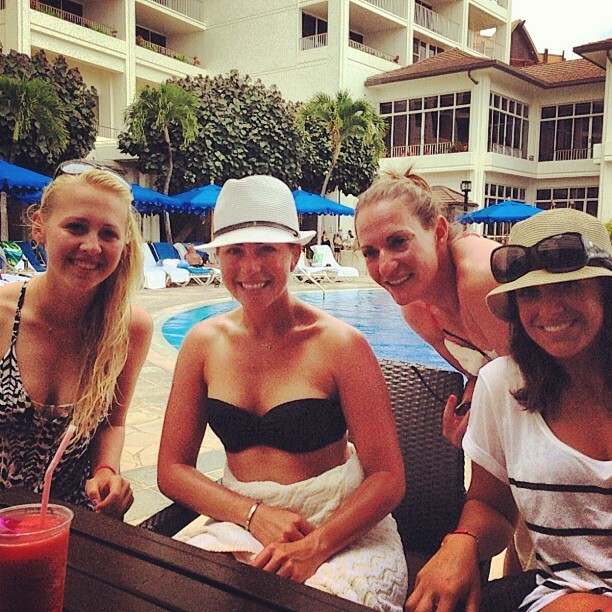 Even if it was working for Wie - and it's not - it would be a terrible way to putt. Can you imagine practicing in that putting stance? But, for now, Wie is doing is. And her peers on the LPGA Tour have taken to calling it "tabletopping." 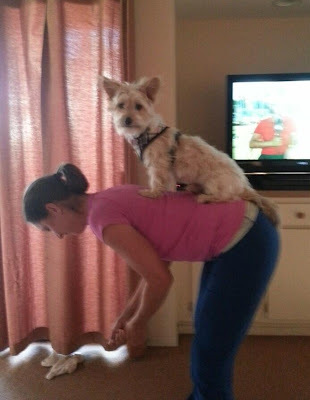 Some of them are even trying to make it a thing on Twitter, like Dufnering was, using the #tabletopping hashtag. It hasn't really caught on yet, but a few players have taken part. I can't watch Michelle Wie putt like this it's horrible. Who has got her putting like that. 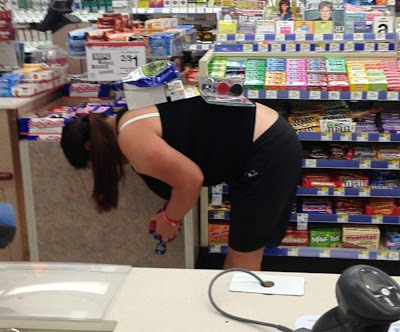 They need there head testing. And Poulter needs his spelling tested. But it's hard to argue against his sentiment. Did Rory McIlroy screw up his game when he ditched Titleist clubs for the lure of Nike Golf's money, and started playing Nike clubs? That's what some golf experts (real and imagined) would have you believe, including Nick Faldo and Johnny Miller, both of whom have criticized McIlroy for switching clubs. But Curtis Strange is having none of it. "I don't think clubs have anything to do with it at all," the American told Reuters in an interview. "I'll qualify that by saying I'm also a paid endorser of Nike like Rory but beyond that... switching clubs is no big thing. "I switched three or four times in my career and it took me a day to get used to them, it's all overblown. I think all the top clubs are virtually identical. "They might look a little different but the golf club is basically a stick with a handle on the end. "Faldo and Miller have been somewhat critical of it - they are so out of line, so out of touch with club manufacturers now," said the 58-year-old Strange. "All the clubs these days are top line, top shelf, perfectly fitted for each player. Faldo and Miller caused a stir when there was no reason to." If Faldo and Miller believe they would have had issues switching clubs, that says more about them - and the state of golf equipment in 1980 - than it does about McIlroy or Nike. "It would be relatively simple to turn down the distance on a driver by 25 yards," said John Rae, vice president for research and development at Srixon. "The two obvious approaches would be to change the dimple pattern and to change the restitution [the elasticity, or speed] of the core. But once we did that, we wouldn't know, out of the gate, what to expect from the rest of the set." Deepening the dimples, for example, promotes added backspin, lift and drag, all of which reduce distance. "Let's say you make a drive go 25 yards shorter by aerodynamics," said Dean Snell, TaylorMade's vice president for golf-ball research and development. "That same ball hit with a five iron might lose even more distance, since five irons create more spin to start with. It might lose 40 or 50 yards." Starting with the six or seven iron, however, the effect of aerodynamics begins to fade rapidly, since balls hit with shorter clubs move more slowly through the air. The same ball hit with a wedge might lose only a few yards of distance, or none at all. "Nothing is cut and dried," said Snell. "When you make a change here, it has an impact there, and it may not be proportional." Srixon's Rae, after patiently walking me through several scenarios and pointing out how interdependent the many variables are—some balls have five layers, each with different properties and thicknesses—finally sighed and said, "The problem with even having this conversation is that it quickly spiderwebs out into a million factors." One of the interesting tidbits in the article is that golf ball manufacturers have been busily filing patents for shorter-flying golf balls, just in case they have to make them some day and need to protect their methods from competitors. Why Does Chinese Plutocrat Want to Build Golf Resort In Remote Part of Iceland? A Chinese billionaire wants to build a luxury resort hotel and golf course in a remote part of Iceland, a part of Iceland that is often "a barren expanse of snow" and that is "even for Icelanders ... a particularly desolate spot." The simplest explanation is this: Because. Because Huang Nubo, the billionaire in question, likes solitude, likes golf, and has oodles of money sitting around burning holes in his pockets. That's the explanation offered by Huang and spokespersons for his company, who say that Huang envisions an "eco golf course for wealthy Chinese seeking clean air and solitude. ... 'there is market demand in China' for peace and quiet. 'Most Chinese now don’t like to travel to dirty, noisy places.' "
But others - officials in Iceland, government officials in the United States - are wary of Huang's motives, and suspicions exist that the Chinese government is involved and up to no good. Those are fueled by the fact that Huang is a onetime government apparatchik, a former propaganda official in the Chinese Communist Party. GRIMSSTADIR, Iceland — Struggling to stand upright against a howling wind, Bragi Benediktsson looked out over his family’s land — a barren expanse of snow and ice that a Chinese billionaire wants to turn into a golf course — and laughed. “Golf here is difficult,” said Mr. Benediktsson, a 75-year-old sheep farmer. ... “It never seemed a very convincing business plan,” said Iceland’s interior minister, Ogmundur Jonasson, who last year rejected a request that Mr. Huang be exempted from Icelandic laws that restrict foreign ownership of land. “I put many questions and got no answers,” the minister added. Prodded by diplomats from the United States and other countries to take a hard look at Mr. Huang’s intentions, Mr. Jonasson questioned what might lie behind China's curious interest in Grimsstadir. “One has to look at this from a geopolitical perspective and ask about motivations,” Mr. Jonasson said. ... Foreign Minister Ossur Skarphedinsson said that he saw no reason to block Mr. Huang's hotel venture, which is expected to cost more than $100 million, but that he was puzzled by Mr. Huang’s desire to build a high-end resort in a place so isolated that "you can almost hear ghosts dancing in the snow." As for playing golf, Mr. Skarphedinsson added, "that doesn’t seem very sensible." Such bafflement has stirred much speculation about what the Chinese tycoon and perhaps the Chinese authorities are up to. A proposal by the Zhongkun Group to renovate a small landing strip in the Grimsstadir area and buy 10 aircraft led to anxious talk of a Chinese air base. The area's relative proximity to deep fjords on Iceland’s northeast coast near offshore oil reserves fueled speculation about a Chinese push for a naval facility and access to the Arctic’s bountiful supplies of natural resources. Far-fetched rumors about Chinese missiles and listening posts led to worries about military personnel pouring in disguised as hoteliers and golf caddies. We live in a time when silly conspiracies are de rigueur. But talk of a Chinese air base in Iceland is absurd. Iceland is a member of NATO (not to mention technically part of the North American continent). A Chinese golf resort that morphed over time into a Chinese air base wouldn't be a construction project, it would be an invansion. It's nuts to even give that idea consideration. That's like saying that Donald Trump's building of a golf resort on the Scotland coast is cover for a United States invasion of Scotland. I bet many Scots feel as though they've been invaded by the execrable Donald Trump, but that's a different story. Could a Chinese golf resort in Iceland be cover for a spy mission, a mission to secretly monitor U.S. activities from a nearby base? That's much more plausible. Probably more plausible than the idea of Chinese tourists (or any other tourists) flocking to a frozen golf course in northeast Iceland. But perhaps not as plausible as a billionaire being a little nutty and coming up with outlandish ways to spend his money. My own money is on this resort never getting built.